A Pakistani cricketer Mohammad Hafeez is Right Handed Batsman, Right-arm off break bowler and a skilful boundary fielder. Mohammad Hafeez played his first Test and ODI match in same year 2003 and his first T20I was played in 2006. Hafeez made his brilliant come back after poor Cricket World Cup of 2003 by making half-century on his Test debut against Bangladesh and follow up it with a century in next match. He possesses some incredible records under his belt that makes him a fine all rounder. He has most number of wins in T20Is as Pakistani skipper. Hafeez is the leading run scorer in T20Is and eighth overall in T20Is. The first captain of Pakistan to score three consecutive fifties in T20Is is none other than Muhammad Hafeez. He is classified as the third most economical bowler in the history of Pakistan's ODIs who has bagged 100 plus wickets, after the legendary Imran Khan and Wasim Akram. He was crowned as PCB’s Player of the Year in 2012. 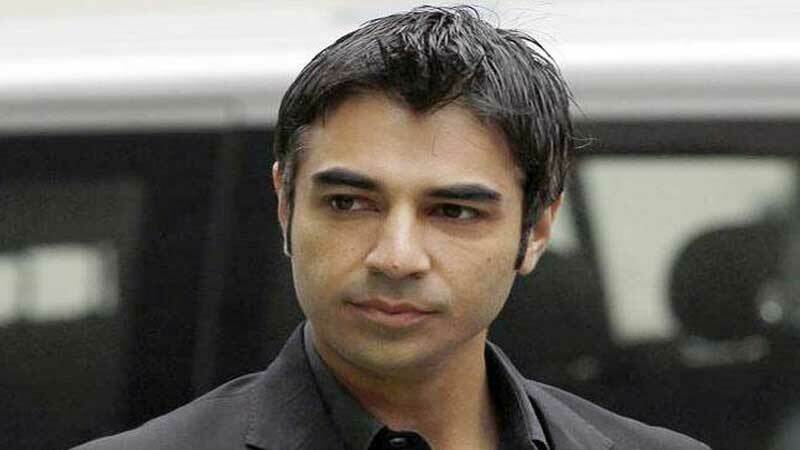 He was nominated for the Spirit of Cricket award for not claiming a false catch in 2012 in a Test match against England by the Cricket officials. He was the recipient of 10 Man of the Match awards in 2011. There are so many ups and down in Mohammad Hafez’s cricket career nowadays. His bowling action has been found illegal/suspected. He appeared in India to correct his Bowling Action. Hafeez is nick named as “Professor” by his team mates. 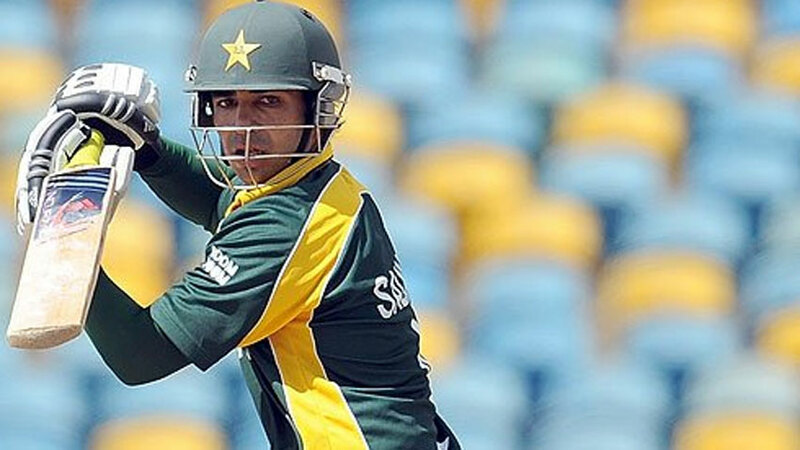 Find Mohammad Hafeez profile and stats of batting, bowling and fielding including latest updated news of Mohammad Hafeez, videos and images at Hamariweb.com. Also find detail Player profile and career statistics of Mohammad Hafeez of Pakistan. 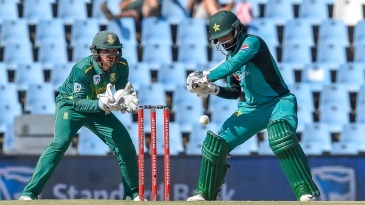 Find Mohammad Hafeez profile and stats of batting, bowling and fielding including latest updated news of Mohammad Hafeez, videos and images at Hamariweb.com. Also find detail Player profile and career statistics of Mohammad Hafeez of Pakistan. 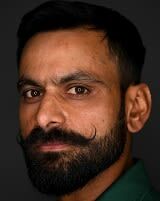 Find Mohammad Hafeez profile and stats of batting, bowling and fielding including latest updated news of Mohammad Hafeez, videos and images at Hamariweb.com. Also find detail Player profile and career statistics of Mohammad Hafeez of Pakistan. Muhammad Hafeez is not good a player of T20. I don’t think so Muhammad Hafeez is the the best batsman, without bowling it is quiet difficult to remain his place in the squad of the Pakistan T20 and One day team. Mohammad Hafeez is a good all rounder and I hope he remains in good nick till the end of World T20 atleast! He is senior and must bat sensibly to make his place in the team. The name of Muhammad Hafeez is also in my top most all rounders in the world but unfortunately he cannot bowled because ICC banned him due to the illegal bowling action. cricketer hafeez ap bohat achy player ho hamesha isi tarha khelna.hafeez ap mery favourite player ho.you are the real hero of pakistan.ap bohat sweet lgty ho batting k waqt.meri duaye ap k sath hamesha hai mai ap se milna chahti hon bohat koshish ki lekin kabhi mil nahi payi. Mohammad Hafeez u are real hero of Pakistan, right know the best talent in Pakistan. u should lead from the front. professor that a batting.. today you prove that u should be a captain of Pakistan cricket team in ODIs, will see alots of more innings like this from you in future..
Mohammad Hafeez - Find Mohammad Hafeez of Pakistan Cricket Team complete player profile, number of matches, runs score, wickets & catches, Statistics, Records, Mohammad Hafeez Latest News, Mohammad Hafeez Videos, Mohammad Hafeez Photos, and other Mohammad Hafeez Cricket Team players.